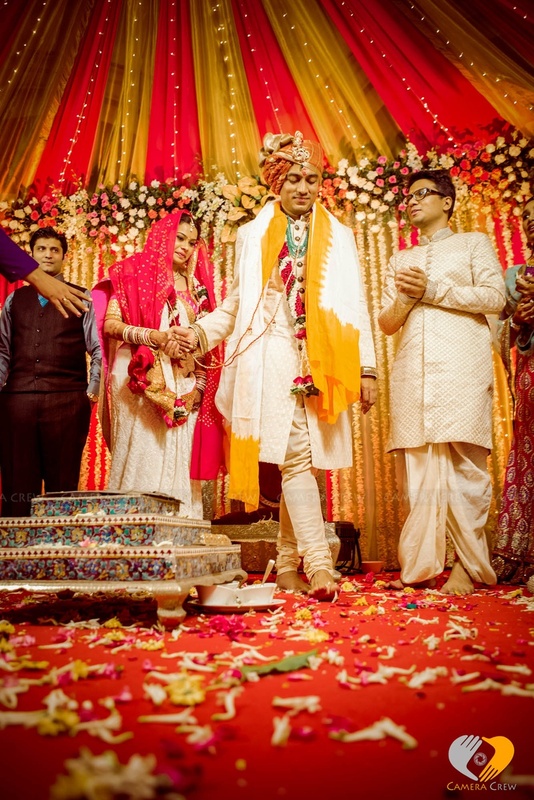 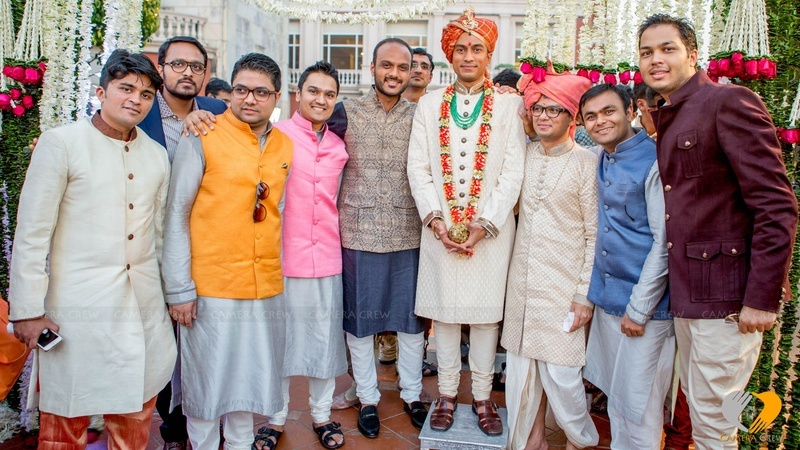 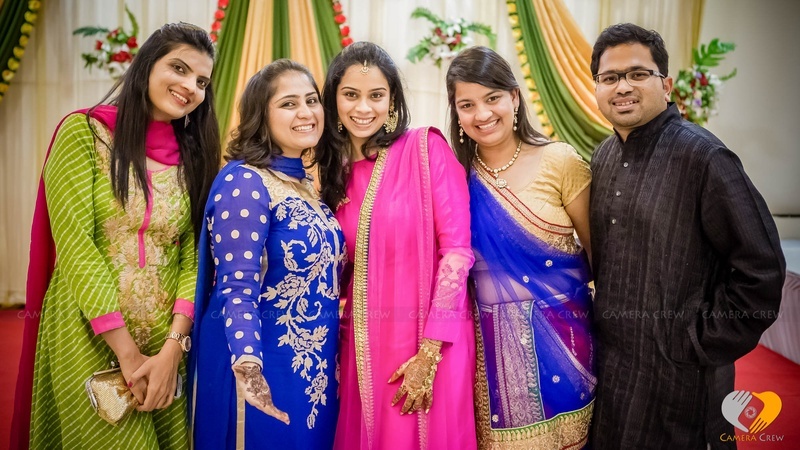 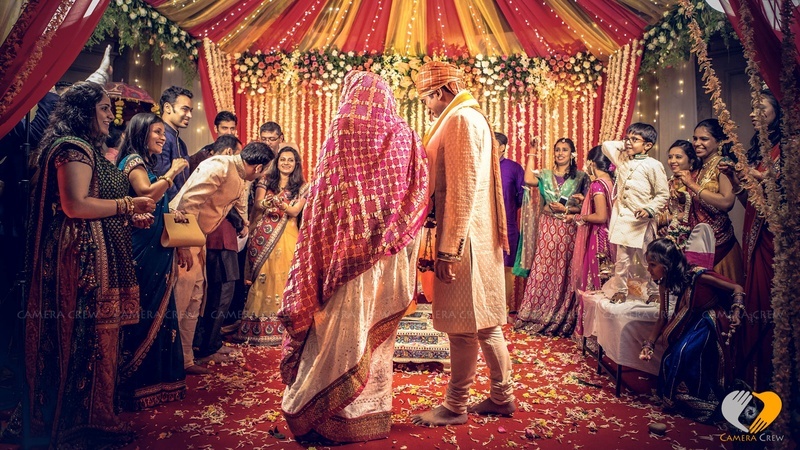 A Bright and Colourful Wedding Ceremony Held at the ITC Hotel. 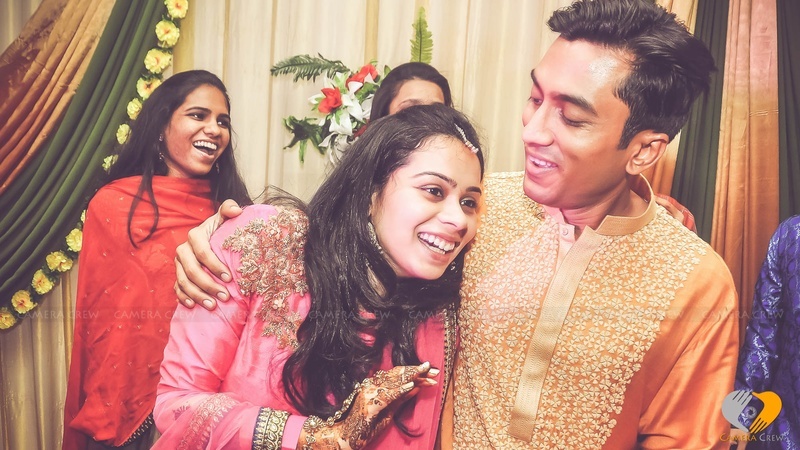 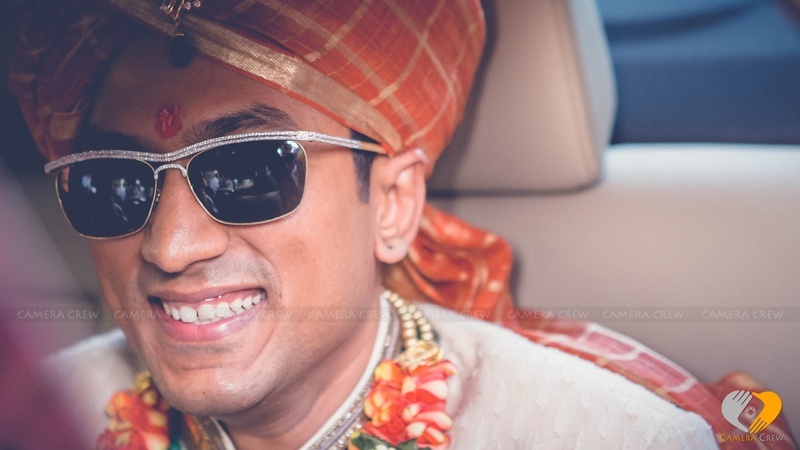 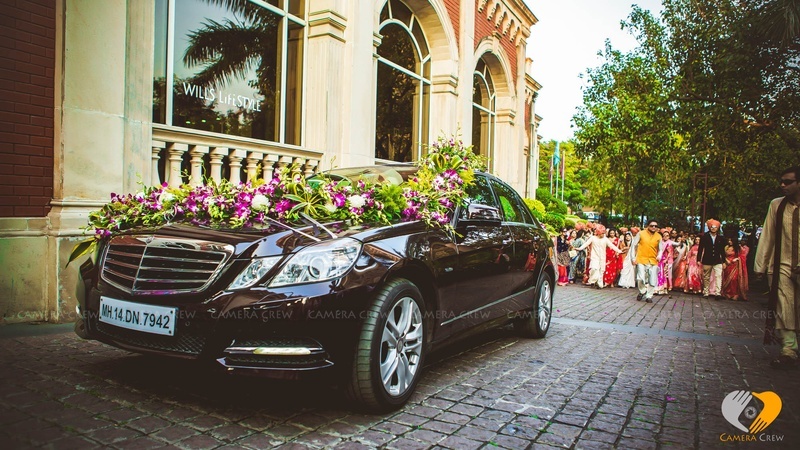 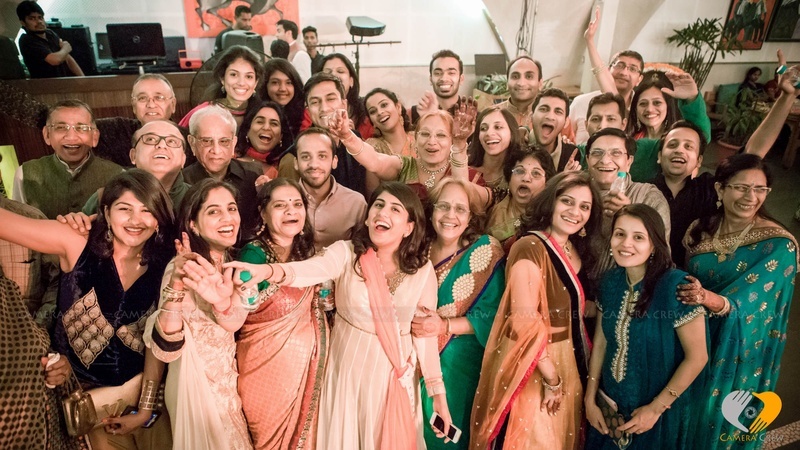 With every relative dancing and enjoying to the beats of the Baraat Ceremony, Nihal entered the wedding venue sitting in a classy Mercedes. 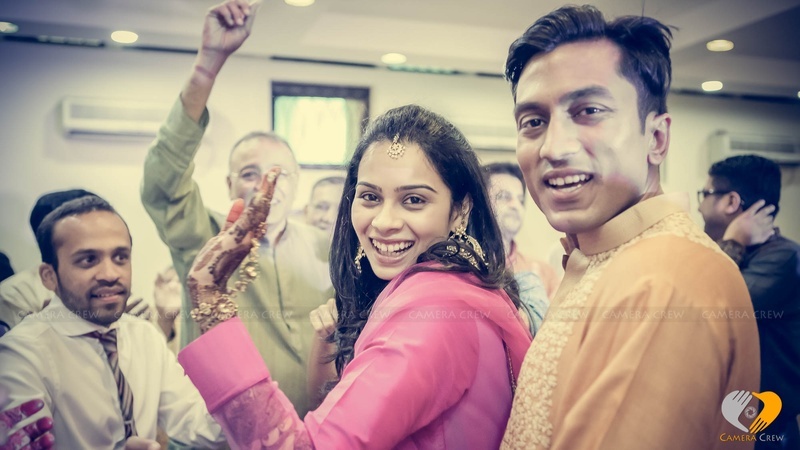 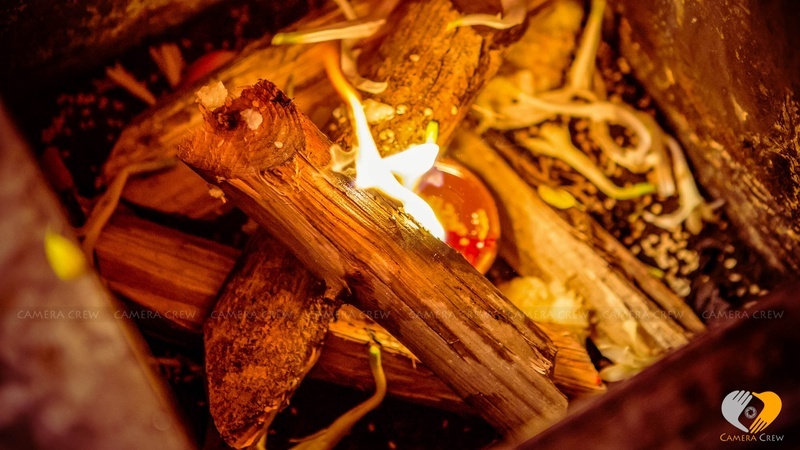 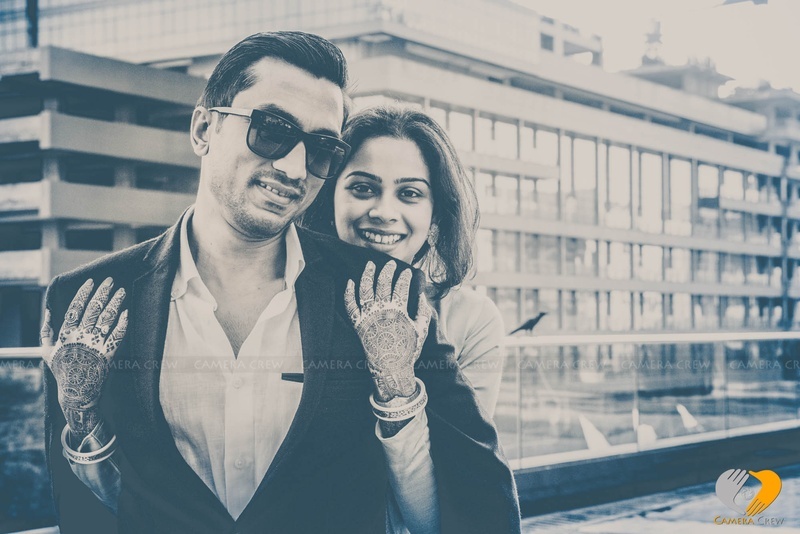 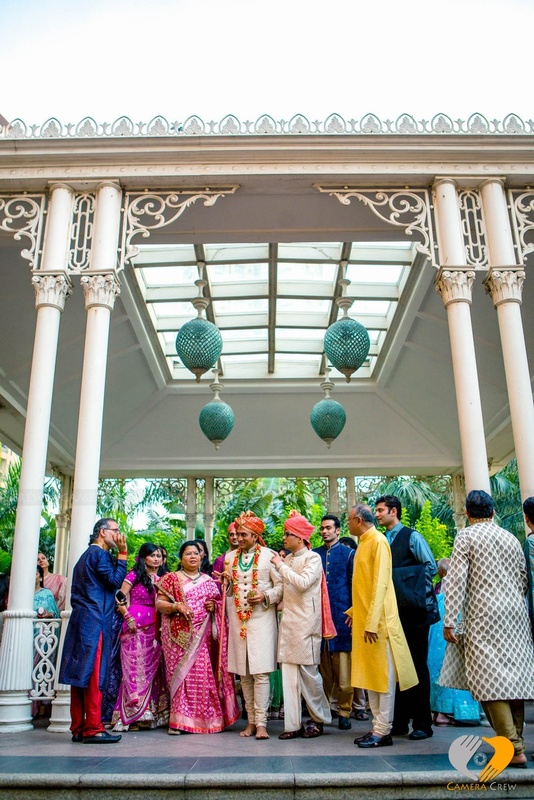 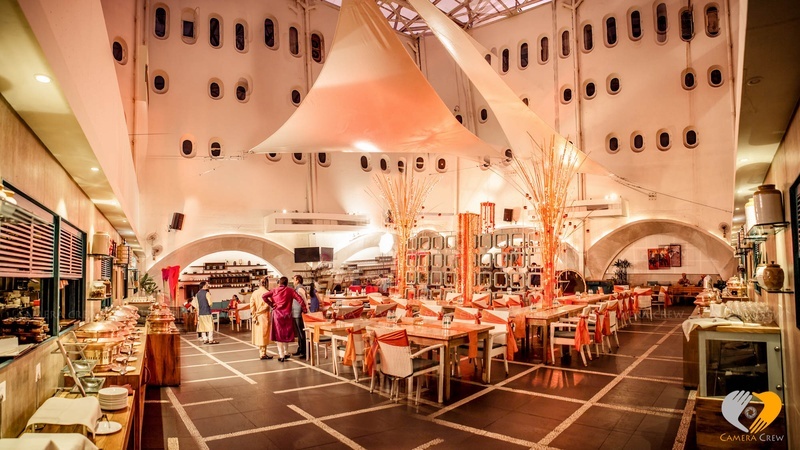 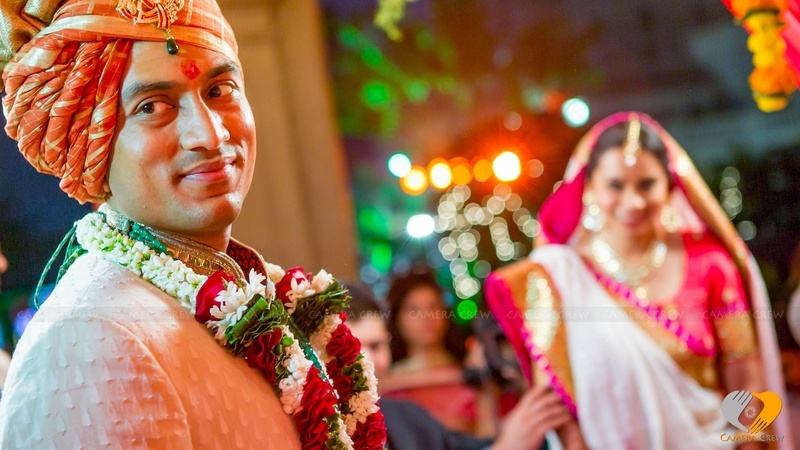 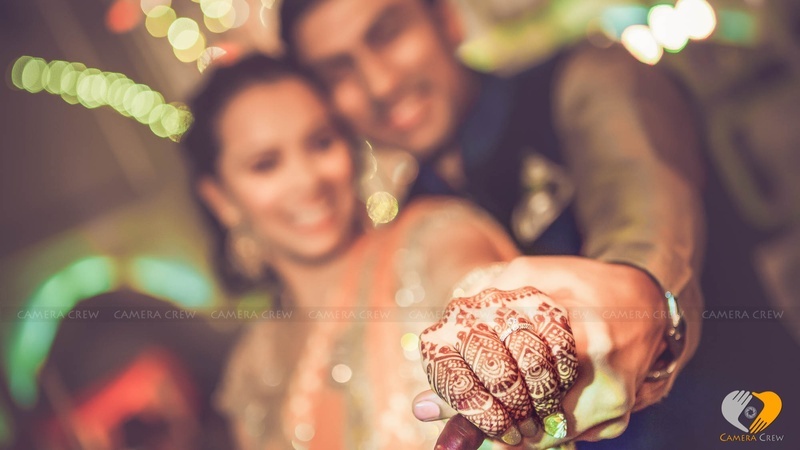 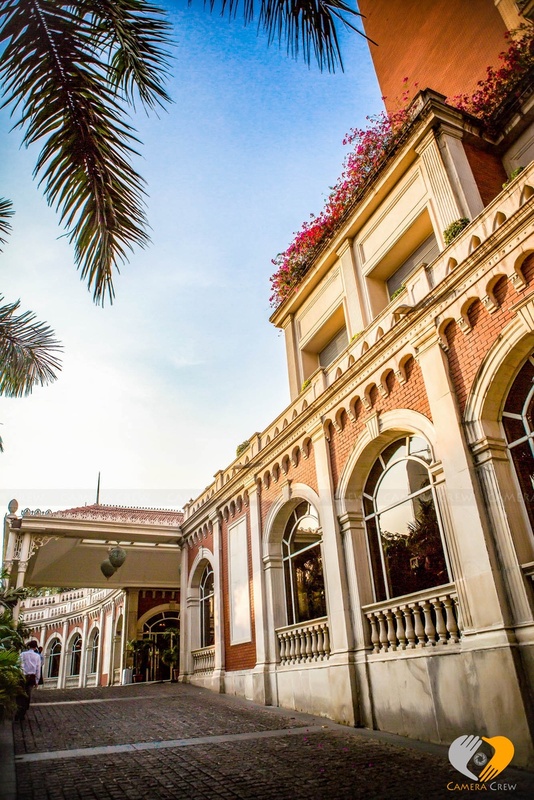 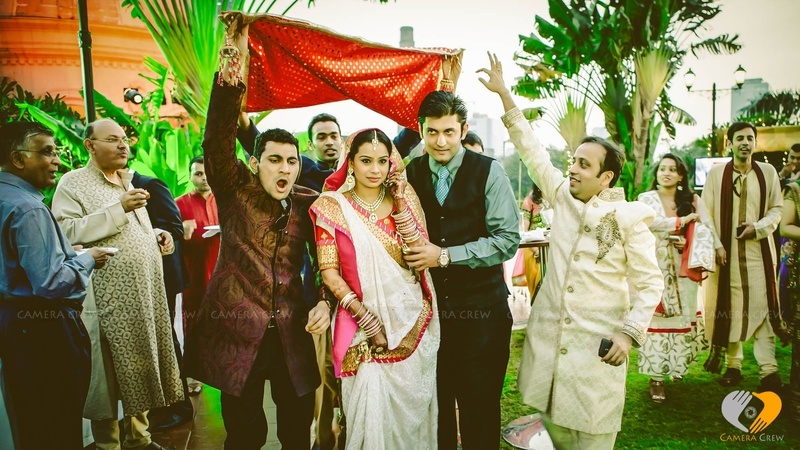 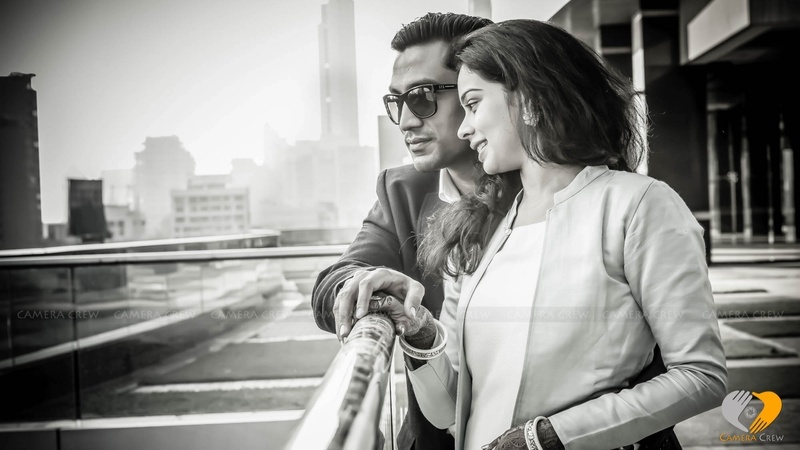 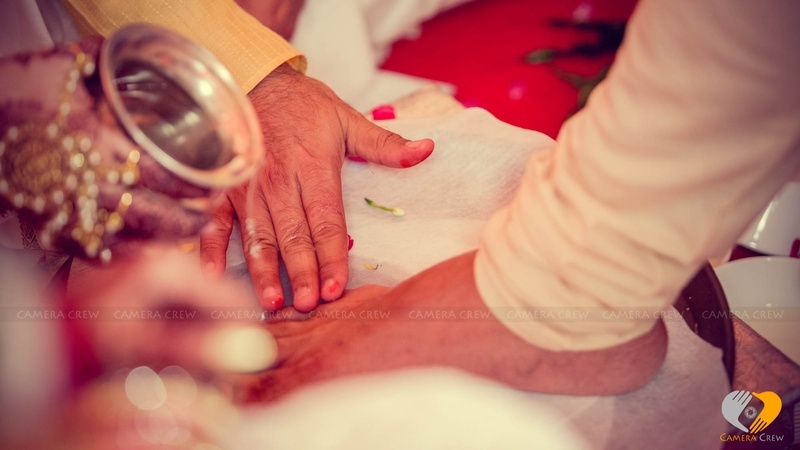 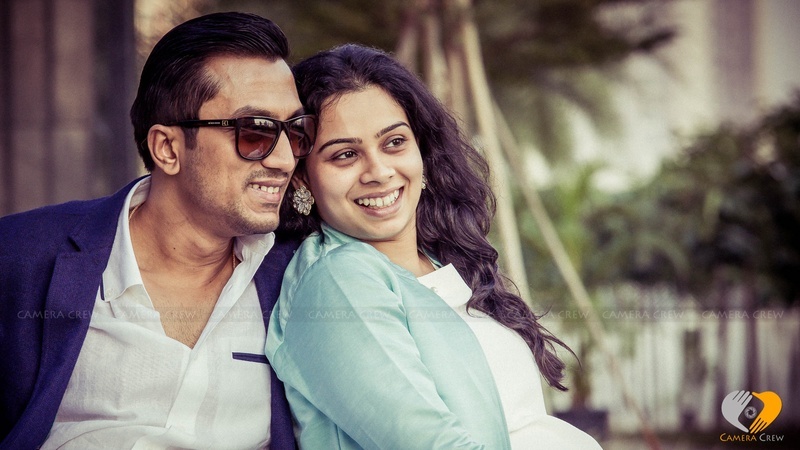 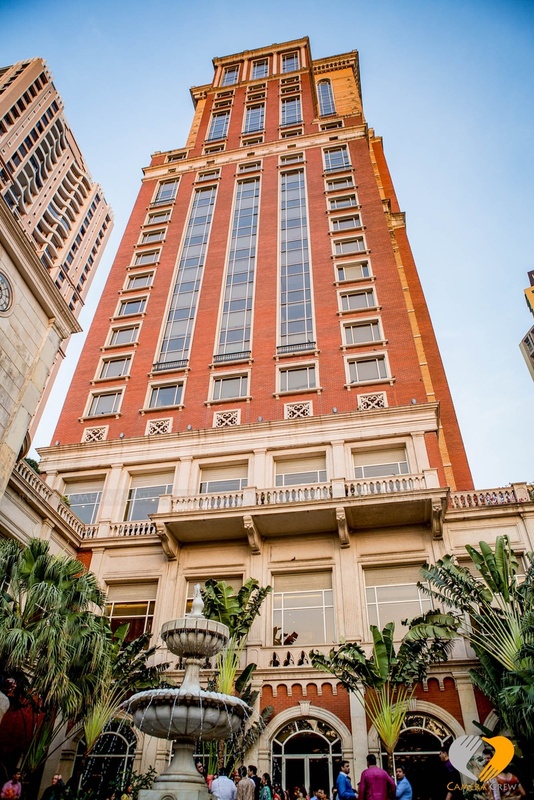 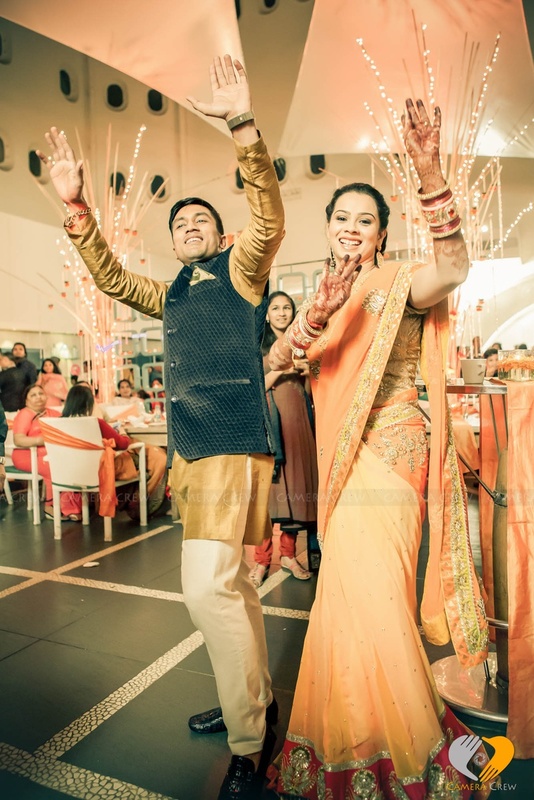 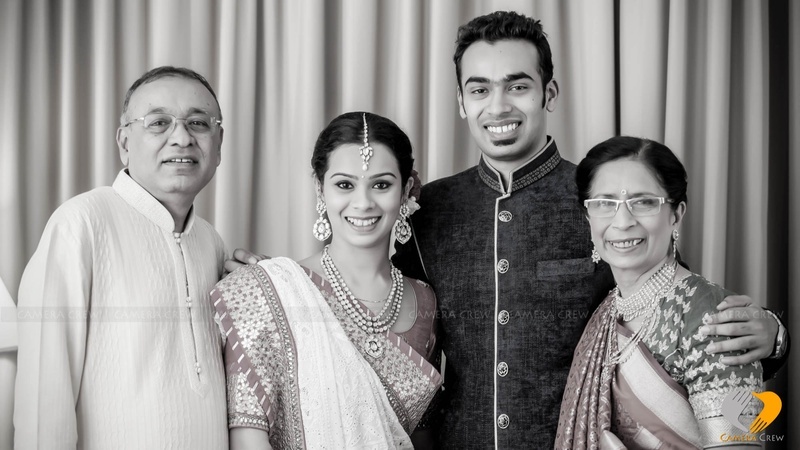 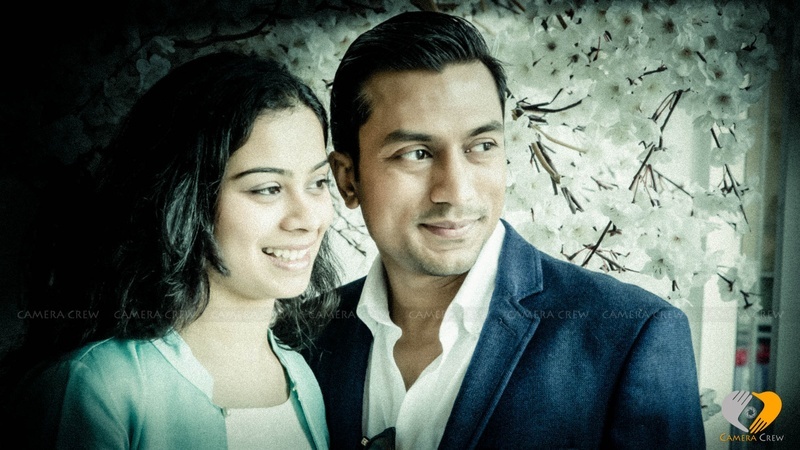 Their wedding ceremony took place at the ITC Hotel, Mumbai and was filled with bright colours and ravishing lights. 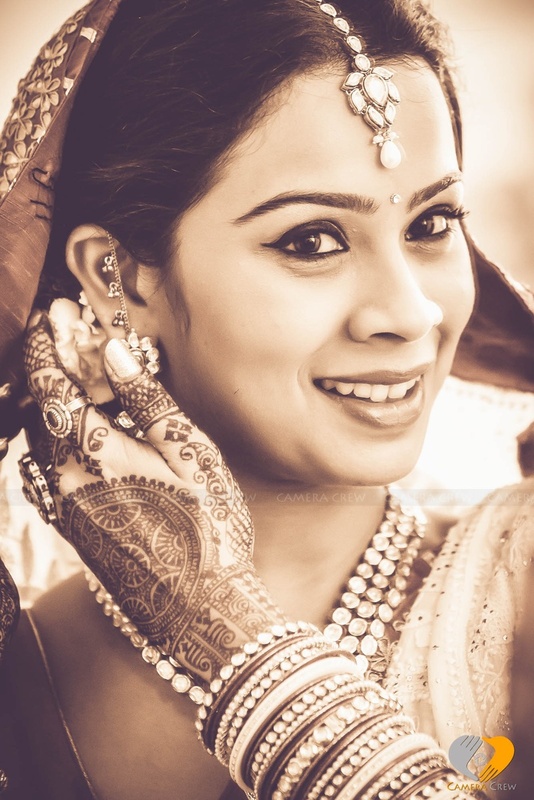 The extremely elegant and evenly done bridal make-up of Arushi, sets an inspiring trend for every bride-to-be. 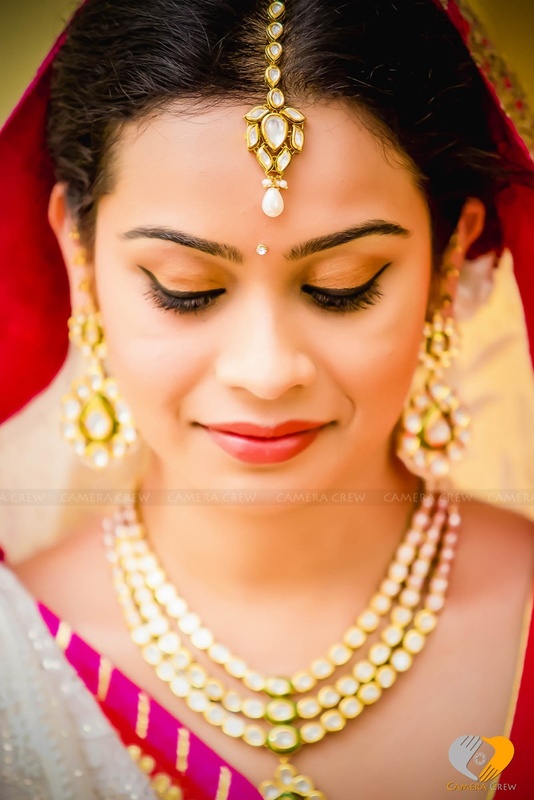 The adornments too were light, striking and appealing, with uncut diamonds embedded in her gold maang tika, ear rings and neckpiece. 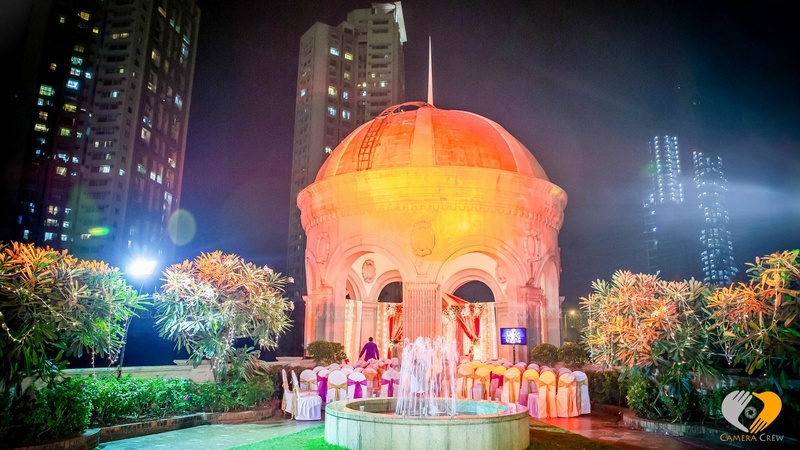 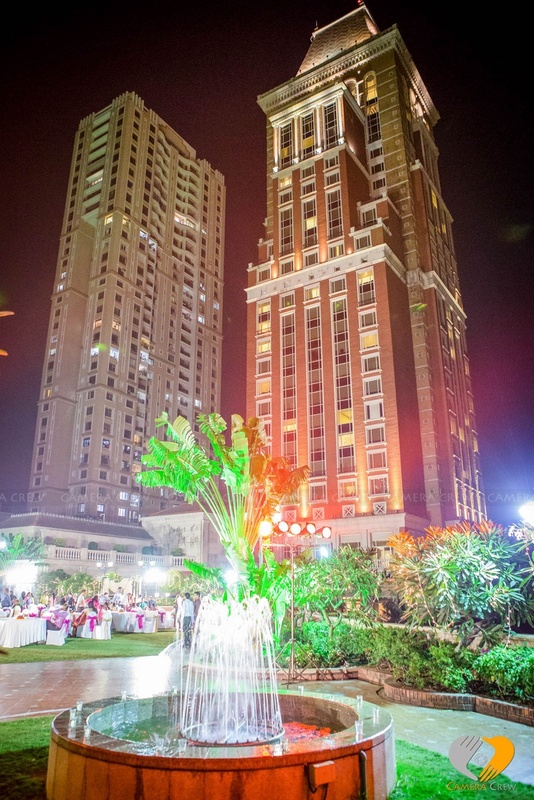 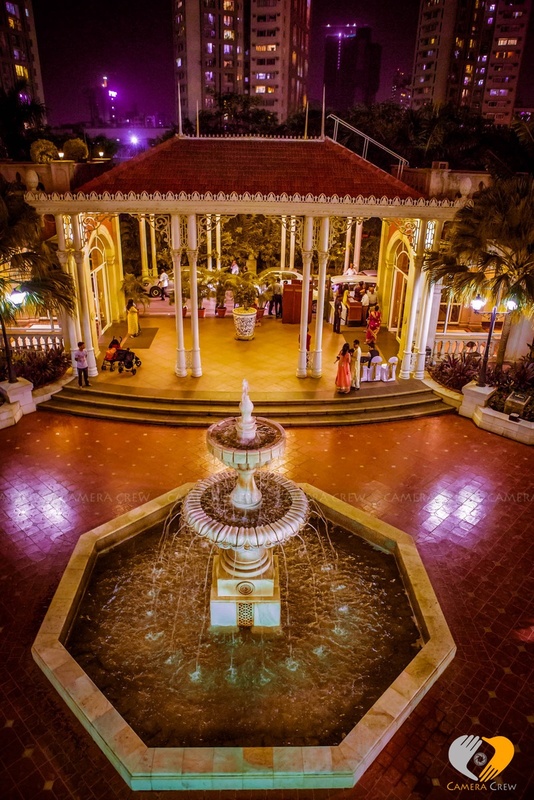 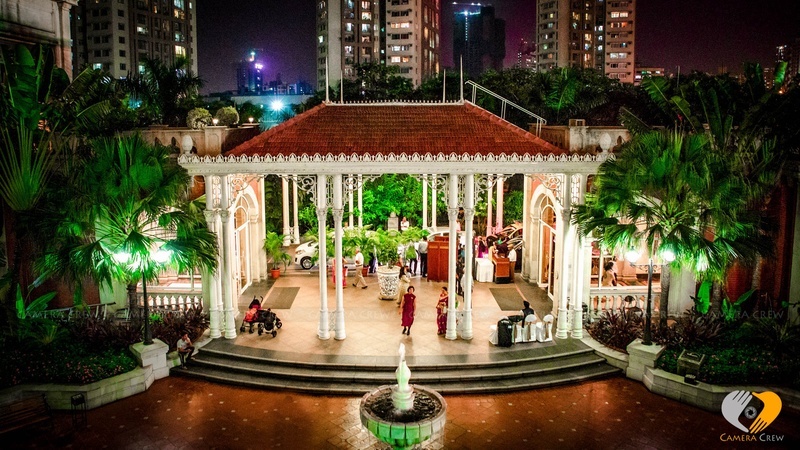 The wedding mandap had colourful drapes and floral bouquet arrangements and was set up right below the hotel’s doom. 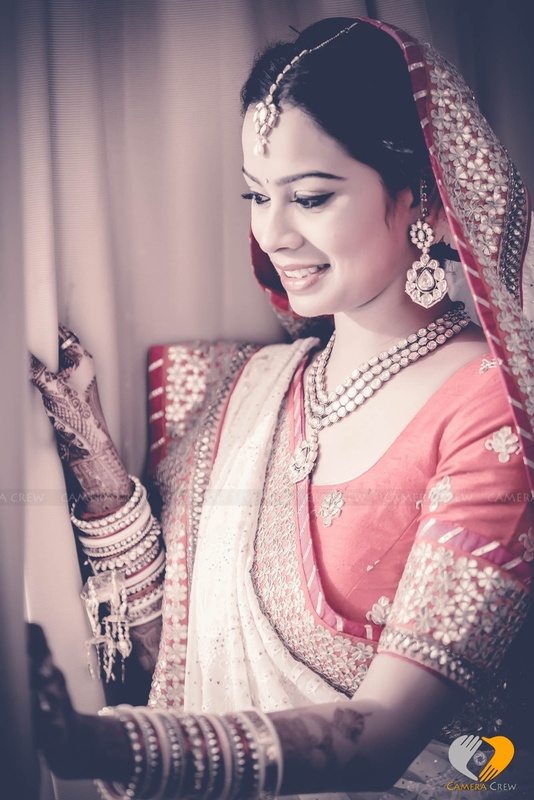 The white and red bridal saree embraced Arushi perfectly. 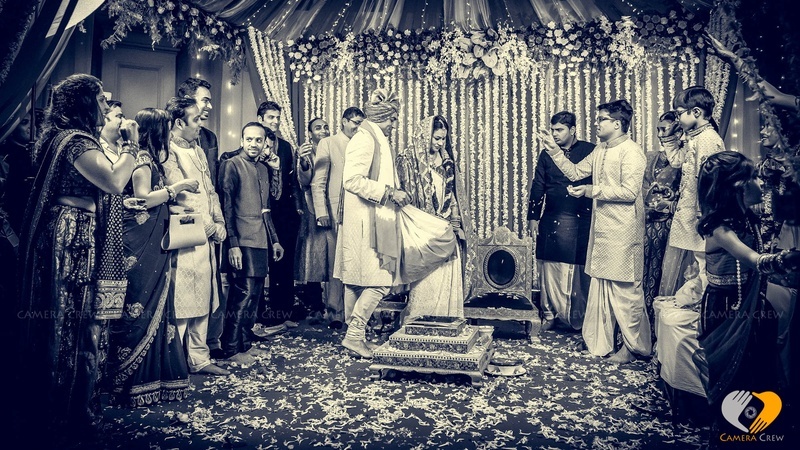 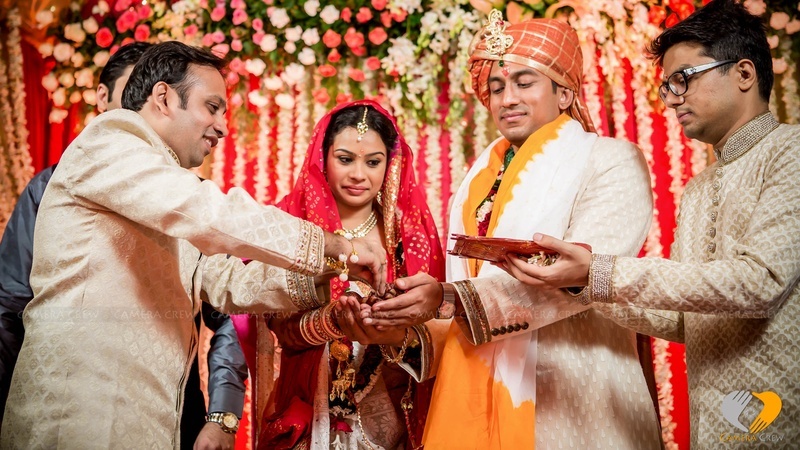 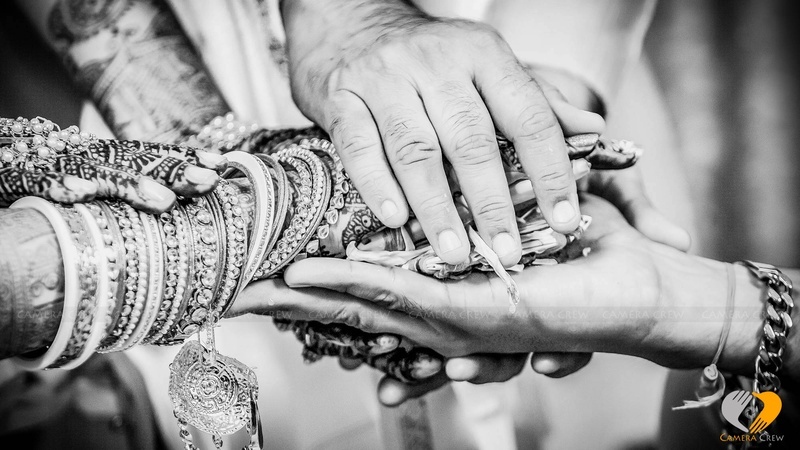 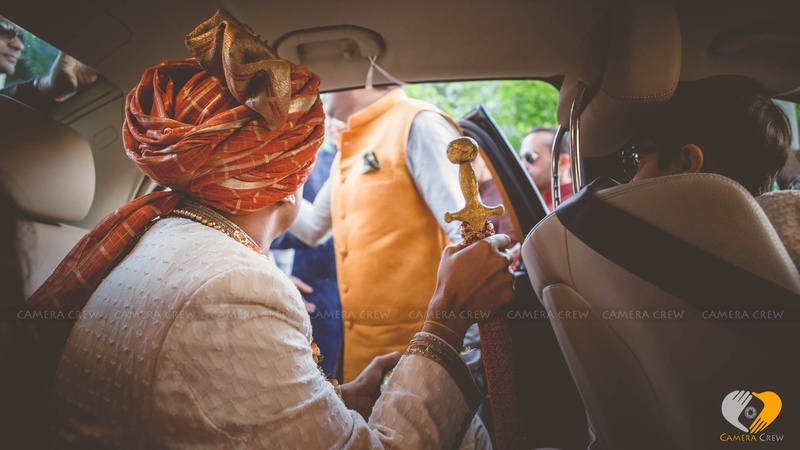 The couple took their Saat Pheras, with the groom holding the bride’s hand and wearing a traditional white shervani paired with a Rajasthani safa. 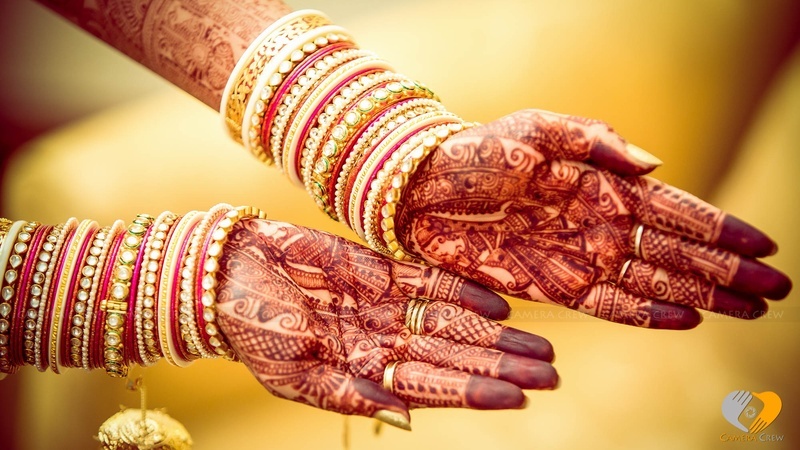 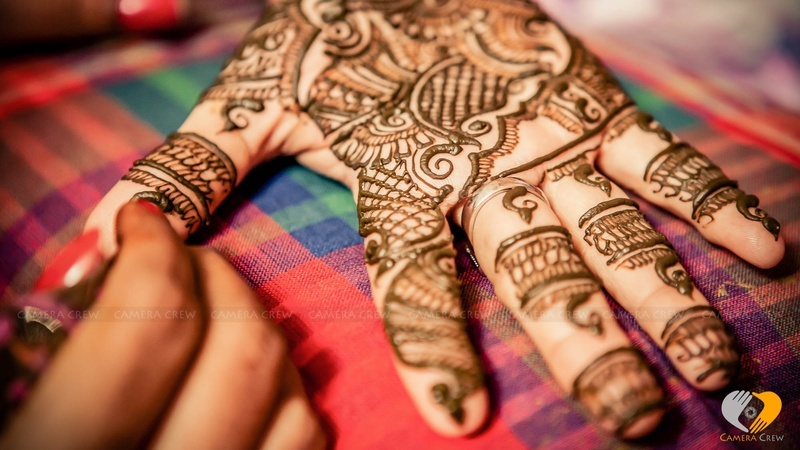 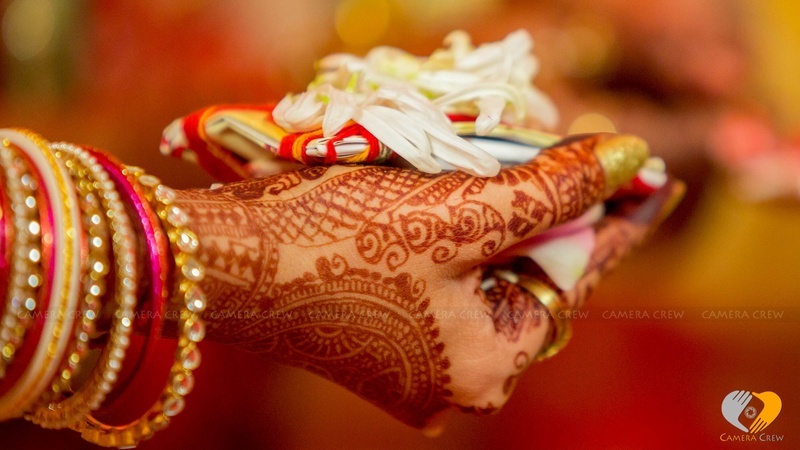 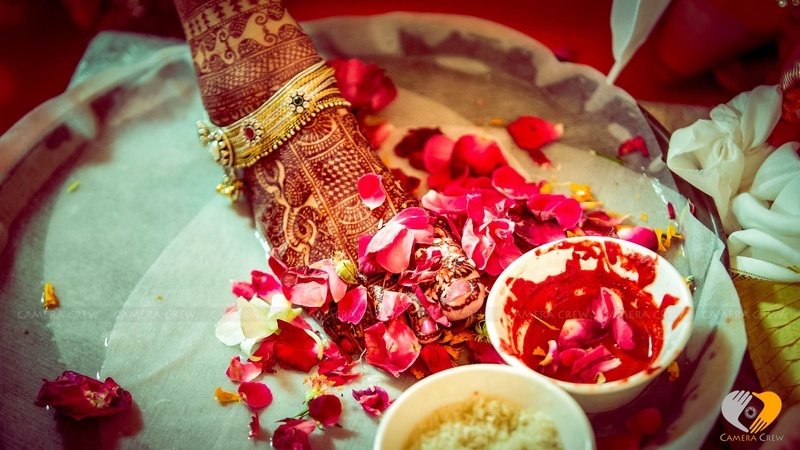 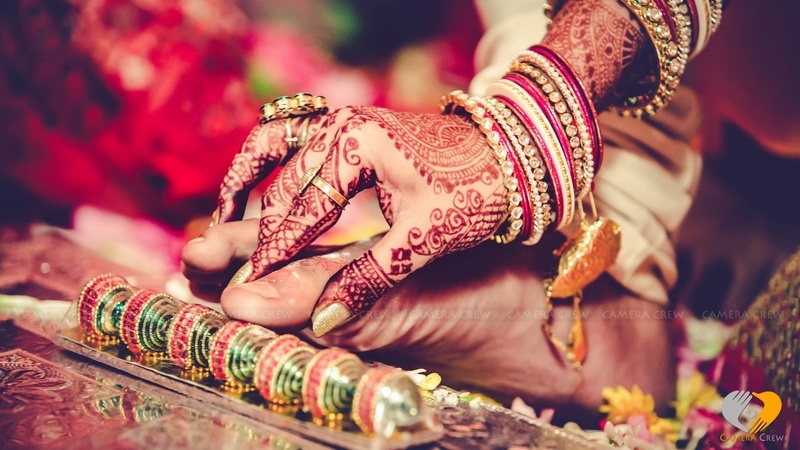 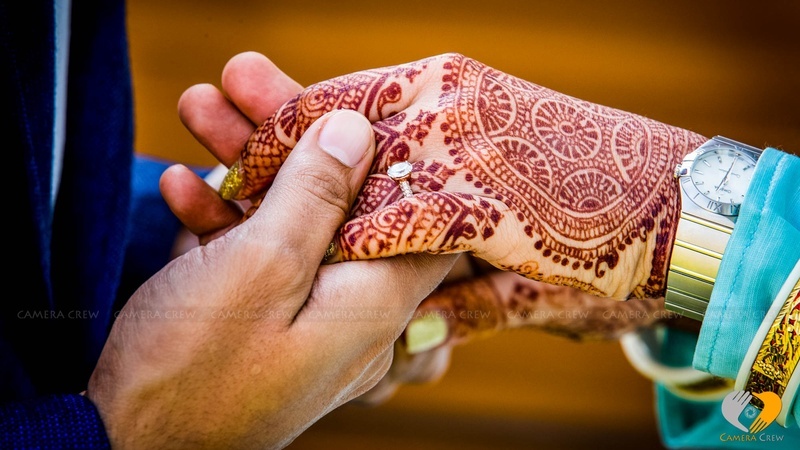 When you look closely at the bridal mehendi done on her hands, you’ll see an impression of a Queen wearing a saree, and the intricately bordered mehendi on her legs was spectacular, taking traditional bridal mehendi designs to the next level.